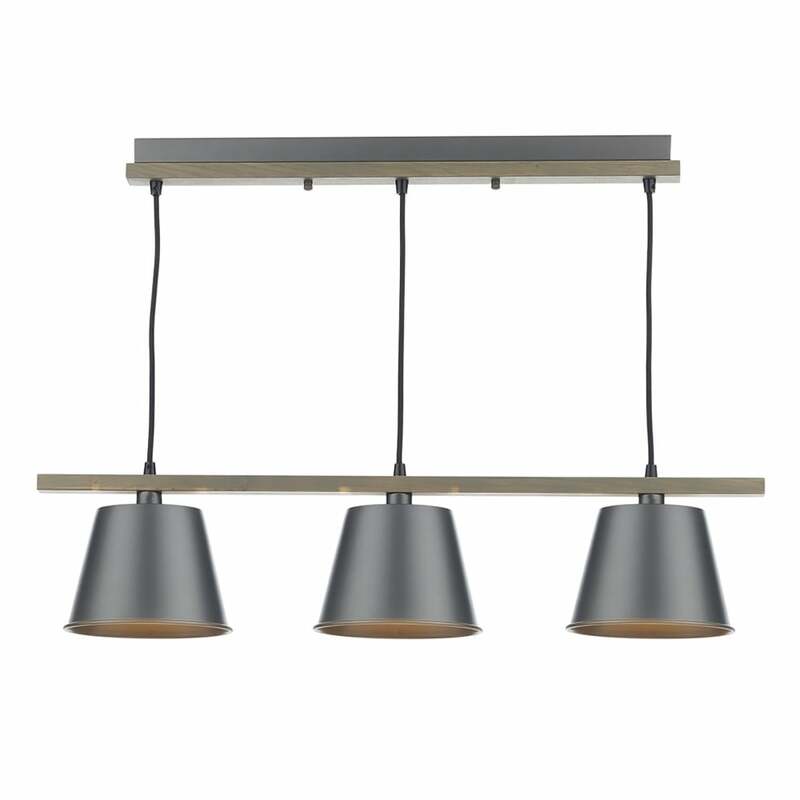 Dar Lighting Arken 3 light ceiling pendant features a tiered, natural wooden frame that supports three, grey metal shades which compliment the grey ceiling fixture. The product code for this Dar ceiling pendant is ARK0348. Full of character, this interesting pendant is a nod to the classic arts and crafts style and will accompany a range of more rustic decors. Height is adjustable prior to installation only. Double insulated. This vintage design is also available as a matching single light wall fixture which can also be viewed on our website.